One Stop Handling Irl’s Versatile Lightweight Aluminium Crane System – an easy way to increase the effectiveness of your Materials Handling. Lightweight Aluminium Crane Range: Capacities from 80kg up to 1500kg with unlimited fixed rail length & Bridge Spans up to 8 meters. 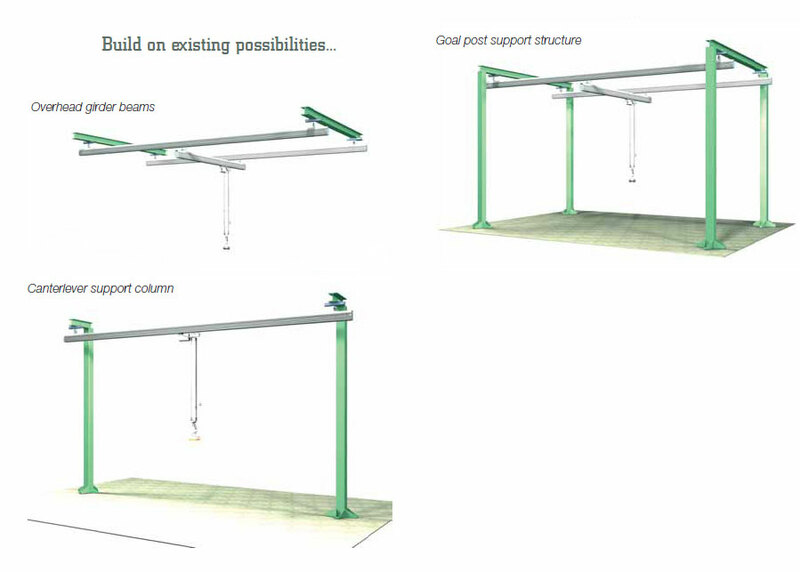 Mounting Options: Mounted onto existing Steelwork Supported by Goalposts or Cantilever Wall Supports. Lifting Devices: Lightweight Aluminium Crane Systems can be fitted with Manual, Electric or Pneumatic Hoists, Load Balancers, Vacuum Lifters & Various types of Clamps & Grabs. Our Lightweight Aluminium Crane systems are used in a lot of industries. e.g. in the woodworking or joinery trade, we fit vacuum lifters to the cranes for lifting & handling doors, windows & sheets of MDF, Plywood & Chipboard etc. In the Steel Fabrication trade we also fit Lightweight Crane Systems with vacuum grippers for handling various types of sheet metal of all dimensions & surface finishes. In the Food, Pharmaceutical & Chemical industries we would install Lightweight Aluminium Crane Systems fitted with electric chain hoists, pneumatic chain hoists, vacuum lifters or load balancers for handling drums, sacks, reels, cartons & boxes. In the Electronics industry we install our light crane systems fitted with electric chain hoists, pneumatic chain hoists, vacuum lifters or load balancers for handling PC’s, Servers & Switch Gear Enclosures etc. 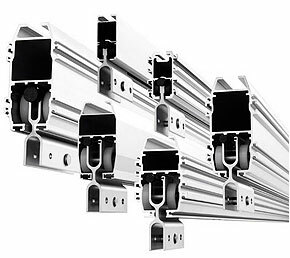 The system is built on different sizes and confi gurations of extruded aluminium profiles. The intricate design with T-channels and flanges creates profiles with maximum strength allowing a heavy load capacity. We have also profiles with completely smooth sides to allow easy cleaning In applications which demand high degree of cleanliness. Our Aluminium Lightweight Crane can be used for loads up to 1000 kg. 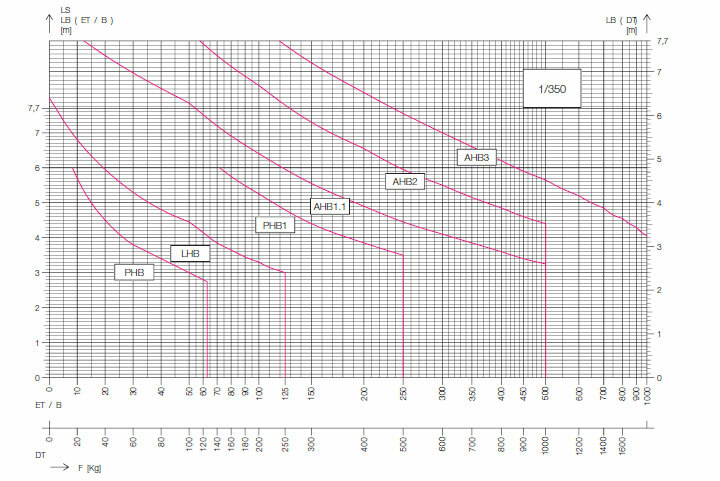 Using aluminium gives many advantageous properties in the form of installation and that working with the system becomes easier due to the system’s low weight. 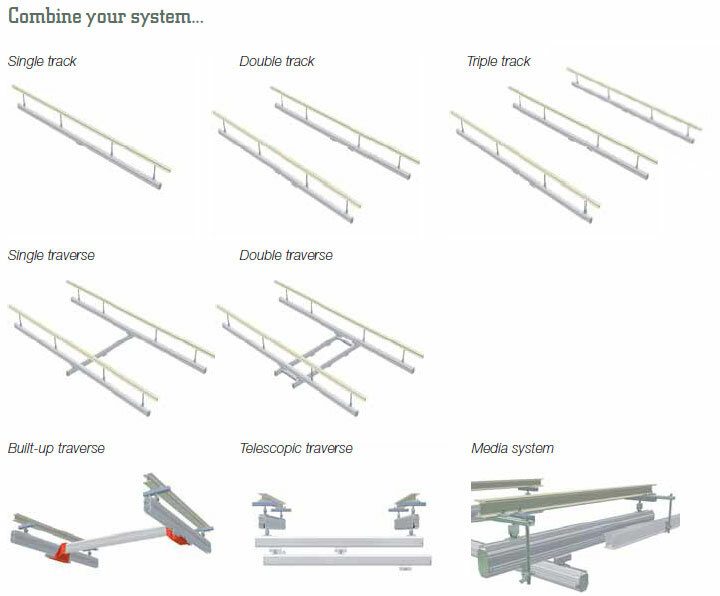 This together with our own smart designed hanging brackets allows us to build up a complete system of booms. Should there be a need for the system to be widened or lengthened then this presents no problem to do it afterwards due to the use of our easy to fit joining connectors. The T-formed grooves on the sides of the boom profiles makes it possible to fit various attachments. The profiled booms are of course anodized, which makes them free from maintenance as well as giving some form of self-lubrication. The suspension of all of our booms is normally done by using an angled “arm” fi xture fi tted into the channel on the upper surface of the profi led boom. 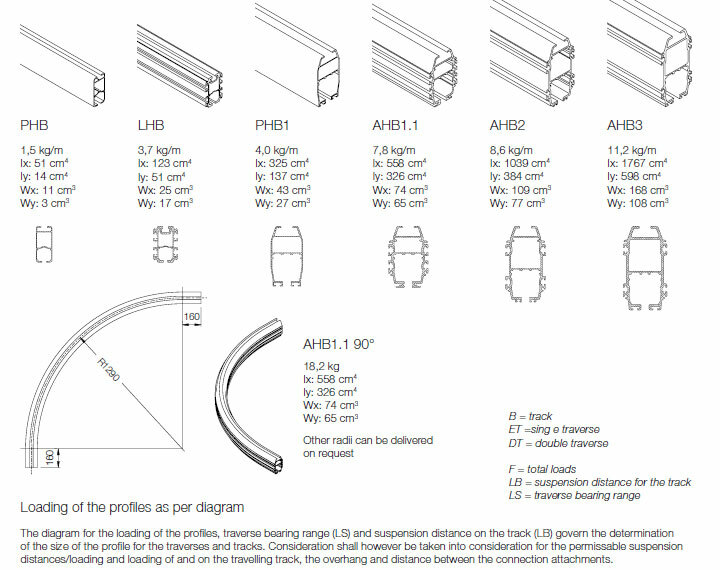 There are a number of different suspension solutions depending on the construction of the building, the space available or demands on strengthening. Each ”carriage” has three pairs of ballbearing wheels that run inside the profi led boom. A travelling gear can be connected to the ”carriages”. 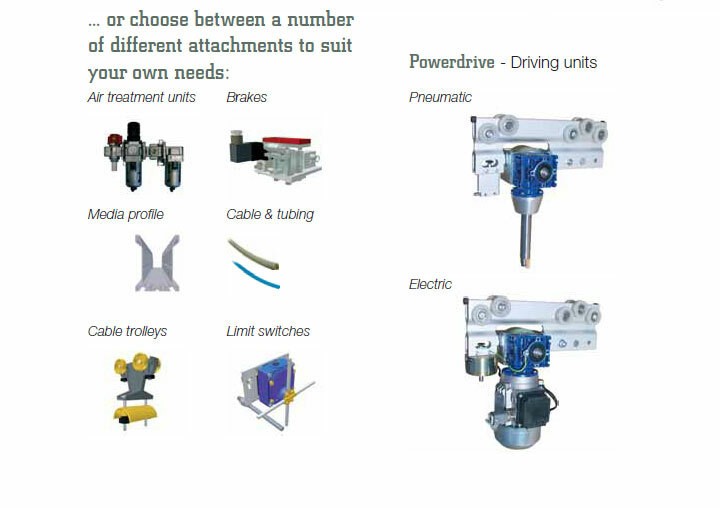 This drive can be uncoupled so that the traverse and other systems can be manoeuvered by hand. There are a number of solutions on how to assist the movement and the drive mechanism can de fi tted with pneumatic compressed air or electricity. The booms that are part of our lightweight aluminium cranes are of course used in our other product systems. They are a natural part of our crane system as well as being part of the constrictions in some of our lifting equipment, for example the Mechstack. Our self-designed chain hoist Mechchain is directly adapted to Mechrail and rail sizes LHB, AHB1 and AHB2.